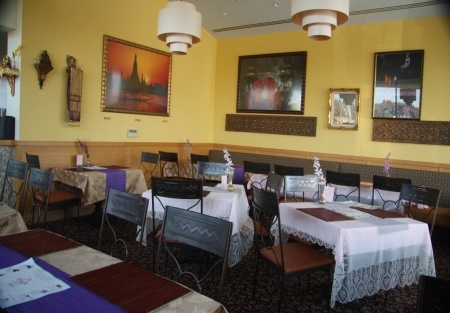 Selling Restaurants presents this Asian Restaurant facility perfect for Vietnamese, Japanese, Thai, or even Chinese. Or if Asian isn't your dream conversion, than convert it to a breakfast lunch, American, sandwiches, French, Formal Italian, Mediterranean, or Mexican. This restaurant facility is right on a major street where 10's of thousands of cars drive by each day seeing the large and bright signage. There is a large garden style outside covered patio offering guest a relaxing cuisine experience and seats about 15 people or more. It is located in a shopping center and occupies an end-cap unit with 1,636 Sq. Ft. with a lease having 4 years remaining and a 5 year option and seats up to 60 people. The owner states the landlord is easy to work with and supports his tenants. This restaurant has operated for 6 years but the owner has to return to the Bay Area due to serious family issues. The monthly rent is only $3,681 with a common area maintenance (CAM) fee of $890. It resides in a very upscale neighborhood crying out for good restaurants with creative food options at good prices and great quality. The average household income in the area is the highest in the area by a long-shot. This is a professional neighborhood. There are medical offices close-by along with thousands of upscale homes within a few miles. This is the sale of a facility at fraction of the cost of building a restaurant like it. Financials will be given for the sole purpose of determining operating costs in the area. Please select one of the orange buttons below to get the name and address of this restaurant. This is a Paramount Restaurant Brokers, Inc. DBA SellingRestaurants.com listing. Bring your dreams and make this location a winner restaurant! The Kitchen is setup for American/Euro style cooking. No Woks. Walkin Cooler and Large Hood System with Double Fyer; Charbroiler; 8 Burner Stove. Large Outside Garden Pation seats 15+. Business has operated successfully for 6 years.